So this post is about what to ask wedding bands and DJ's to ensure they have what it takes, to give you and your guests the time of your lives! And you know what… you deserve nothing less! There are an abundance of talented bands and DJ's available but something they really must have, is experience playing such important occasions. Wedding gatherings are usually made up of guests from grand-children to great-grand-parents and everyone in between! So it's super important for your band or DJ to be able to hold an audience like this. To find out if they can, don't be afraid to ask these 3 VIP questions! 1. Has the band or DJ played at weddings before and if so, roughly how many? We for instance have been lucky to play at hundreds over the past 10 years and yet, we still learn something valuable at each new one we play! So the more weddings they’ve been part of, hopefully the better! 2. Talk to the DJ or one of the band members over the phone and ask lots of questions to get a feel for whether they are right for you. They should listen to what you would like from them and then help guide you to achieve your dream with their experience and care. I'm a great believer in trusting your gut feeling. This will likely be your first time organising a wedding but professional bands and DJ's will be playing them week in and week out, so they're an invaluable source of knowledge when it comes to your celebrations! Make the most of that! Also, your band or DJ will be engaging with you and your guests from their stage or booth, so it's important they have a super friendly manner and most of all, are full of genuine enthusiasm for your wedding. 3. Ask how the band perform their sets. Is the song list set in stone or can the musicians mix it up? No two weddings or parties are ever the same and an experienced wedding band won't stick to rigid set lists. My band for example begins with a blank canvas and we read the room as we go. We ask for a list of favourite songs the hirer wants us to include from our repertoire in advance and take it away from there - playing the songs we know will work best with that particular audience! For more questions you may like to ask your band, I wrote another post about what we must do to make the magic happen. It's so much more than playing great songs! I can't stress enough how important I think it is that you look for professional bands and DJ's who play at weddings for a living, and who have the appropriate equipment and insurances. One too many times now, I've received phone calls a few weeks before or even on the very day of a couple's wedding, to say their band or DJ can't be there for them and it breaks my heart, especially if we’re not free to help. Most of the time it's because they hadn't booked a dedicated supplier and it's often not the fault of the band or DJ they've asked. It’s more likely because certain wedding venues will only allow suppliers with the appropriate public liability and equipment insurances which can run into the thousands for some of us, depending on our equipment and the venues we play. Purchasing insurances will likely be too expensive for the non professionals to be covered just for a one off event in a venue requiring the necessary paperwork. We’ve found that public houses, village halls and some wedding venues don’t usually request our paperwork but please always read your wedding venue contract regarding the music, to avoid any disappointments or upset. From the experience I have working with professional musicians, DJ's and indeed wedding suppliers as a whole, they are as committed as you are, to being there on your wedding day! I've sung at weddings with a raging fever, food poisoning, a nasty allergic reaction (swollen up like Professor Flump) and even influenza! I couldn't make close contact with anyone unfortunately when carrying the lurgy and frustratingly couldn't hug my couples, but they were understanding and just happy we were there! As the saying goes, the show MUST go on! 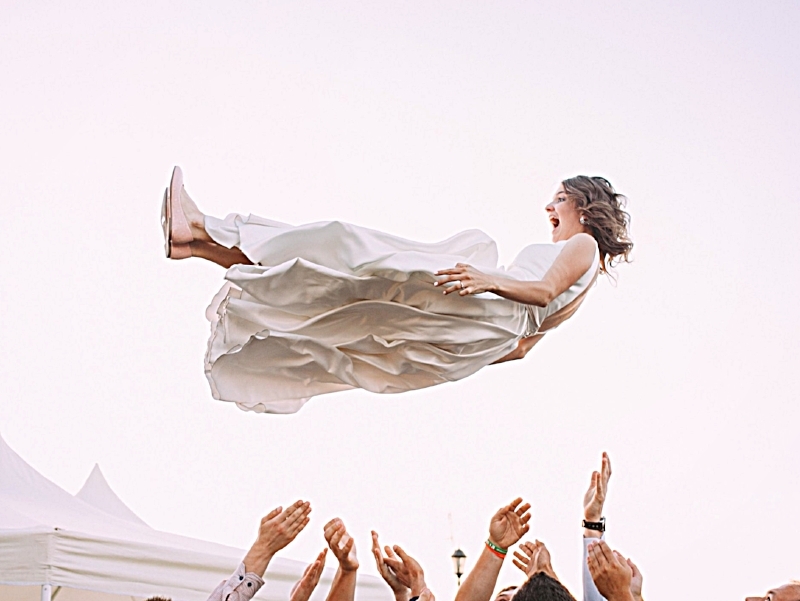 If you're looking forward to feeling like this epic bride, it's worth the effort to look for wedding suppliers who really care and have lots of experience in their field to make your wedding and not least your feelings, soar! How much does a wedding band cost and what are you getting for your money?